Set on 140 acres in Santa Fe, New Mexico, with a view of mountains in every direction, the Institute of American Indian Arts has had a long history, starting from its founding during the Kennedy administration. The Institute of American Indian Arts, or IAIA, is an embodiment and encouragement of Native art — from sculpture to music to poetry — and a concentrated community of Native American voices and artists learning from teachers and from each other. 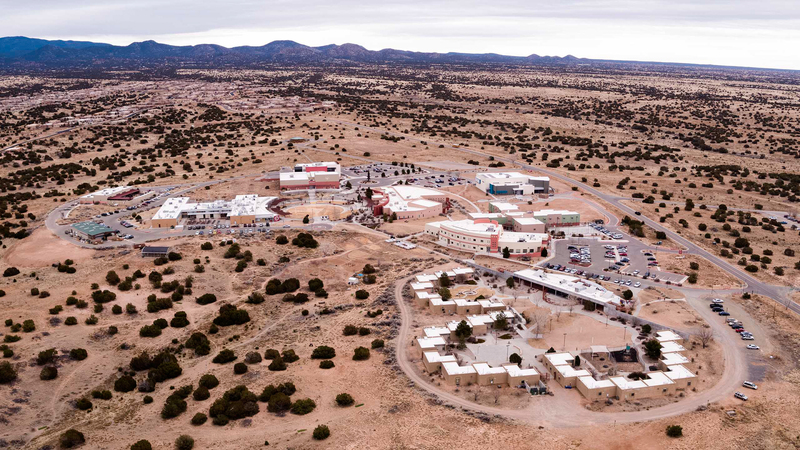 In 1962, it became one of 37 tribal colleges in the United States, and, in 1986, became one of only a few congressionally chartered universities. In the writing community, one of IAIA’s newest efforts — its first graduate program, a Master in Fine Arts in Creative Writing, launched in 2013 — is inspiring Native Americans to speak more openly about their individual experiences and to put them to paper, says Jennifer Foerster, interim director of the MFA program, and herself a poet and author of "Bright Raft in the Afterweather." "One of the mottos is to 're-write the literary landscape,' because so much of the American literary landscape has had the dominance of a certain kind of voice and author for the last 200 years," said Foerster, a citizen of the Muscogee (Creek) Nation. "It’s about time we start to hear all the other voices that have always been here." 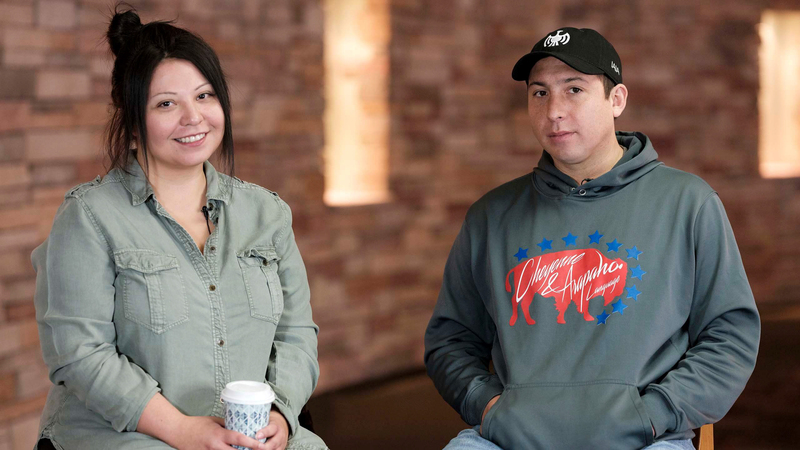 Two graduates from the program's 2016 class — Tommy Orange, author of "There There," and Terese Marie Mailhot, who wrote the memoir "Heart Berries" — each found both critical acclaim and spots on the New York Times bestseller lists with their debut books in 2018. Their success has ignited much excitement among other writers and students, and inspired some in the literary community to, somewhat controversially, call this the beginning of a "new Native renaissance." This new generation of Native American writers also includes Billy-Ray Belcourt from the Driftpile Cree Nation — author of "This Wound is A World" — and Oglala Lakota poet Layli Long Soldier, whose collection "Whereas" won the PEN/Jean Stein Book Award in 2018. "The vision of the school comes from a multi-tribal Indigenous perspective," Foerster said. "What’s really wonderful about being here is you don’t have to explain yourself. You can be who you are with your own tribal identity. You’re not the one Native person in an entire institution of a thousand students or a thousand people." Everything the students read has either a Native American or First Nation emphasis, she said, rather than, for example, students taking Native American literature as an elective and focusing on typical literary lions like Ernest Hemingway or William Faulkner. However, some Native American writers feel uncomfortable being boxed into a particular group based on their cultural or racial background. The designation of a "new Native renaissance" might seem positive, but the connotations are complicated, much like the writing of the authors themselves. While Orange and Mailhot come from similar perspectives, their writing is very different from each other. Mailhot’s memoir of poverty, abuse, loss and love is rooted in her experience growing up on a reservation in British Columbia as a member of the Seabird Island Band. Orange brings his view of life as an "urban Indian" in Oakland, California. He is a member of the Cheyenne and Arapaho tribes, as is his father; his mother is white. The two released their books within two weeks of each other, and their families are friends. Before their recent success, they both weren’t sure if they could even make a living as writers. But they decided to go for it, encouraging each other. "Both of us agreed we’d knock it out of the park," Mailhot said. Orange said some people think just by being Native American you’re born with certain knowledge. His father told him many stories growing up, some he thinks of as "never-forget" stories, invoking Holocaust survivors. He does a lot of research for his writing, and while he did not go to powwows as a child, he decided to make a powwow in Oakland the center of his book as it merges his two worlds, both of them home. In his writing, Orange said he’s actively challenging the writing and the story that has come before him. He said he’s not in resistance to the generation before him, which includes writers like Louise Erdrich, Leslie Marmon Silko, Joy Harjo, and Sherman Alexie, but he is resisting the stereotypes of portraying what he calls "that Indian," who feels out of date. "I think we are all products of our time and we are writing with our times in mind," Orange said. "That automatically makes us different because we are living in a very different time (compared to) what they lived through." Part of that difference for Orange is placing his characters in settings beyond the reservation and making the inner city the natural environment. "The reservation writing has its place — it's part of the canon and everyone knows it," Orange said. "But for at least 10 years, 70 percent of Native people in the whole country are living in cities. And to not have had any representation of that story was pretty mind-blowing to me. So, I'm not necessarily writing against reservation experience (but) there was just a big void of story. We're already an invisible population in this country or were misrepresented, and the urban Indian doubly so because there's no representation in movies or literature or TV." Mailhot said she wrote "Heart Berries" for a related reason — she did not see a book anywhere that represented her modern life growing up on a reservation, the Seabird Island Band in British Columbia. She’s not comfortable with the "Native renaissance" label or the pressure it puts on individuals. "It damages us as artists when we become quintessential to Native literature," Mailhot said. "I'm too new for that." Mailhot would rather we simply read her writing for what we see on the page, rather than the broader context around it. "It’s there in the text and that can’t be dismantled. The text is forever for me. The text will outlive you," she said. Beyond Orange and Mailhot's personal misgivings, there are other reasons to be averse to a label like a "Native American renaissance." Emory College professor and Native American literature scholar Craig Womack wrote the term disregards two centuries of oral tradition, in addition to decades of writing in varying styles and addressing a wide range of Native experiences. In some cases, it creates less desirable connections between otherwise unrelated works. Writer Sherman Alexie taught off and on at IAIA from 2013 to 2017, but after the National Book Award winner was accused by several women of sexual harassment, the IAIA changed the name of the Sherman Alexie Scholarship to The MFA Alumni Scholarship. Labels are an existential question with which many in this literary community are actively wrestling. David Treuer, who is Ojibwe, has written several novels, a memoir called "Rez Life: An Indian’s Journey Through Reservation Life," and a book of essays called "Native American Fiction: A User’s Manual." His latest book is "The Heartbeat of Wounded Knee: Native America from 1890 to the Present." Treuer said writing like Erdrich’s is so moving and heartbreaking not because of its "Nativeness" but because of her artistry. "I wrote my essay collection as kind of a challenge," Treuer said. "I said, 'Native American literature' doesn’t exist. A book’s nearest relatives are other books, not real people and lived communities." The approach of these young writers is to create new works on their own terms, and seek to be defined by them rather than whatever labels may come. Orange, who is now working on an autobiographical family novel where he interviews members of his family and then turns it into fiction, says that "to be an authentic Native you have to question your authenticity." IAIA’s Foerster agrees that the writers breaking through with success at this moment represent a unique literary moment, but one defined by the time these authors are living in. It isn't the first among Native American authors, and will not be the last. "We’ve had literary revolutions for a long time," Foerster said. "It’s not the first renaissance, it’s not the first revolution. But it’s an amazing revolution and it’s something to celebrate. We are at a different place right now than we were 10 or 20 years ago. There is a movement."